This homemade costume for kids entered our 2008 Halloween Costume Contest. I love this! I have to dress my son as toothbrush next week!!! please can you tell me how you kept the straws in the hood? How did u make the baby tooth costume?!?? 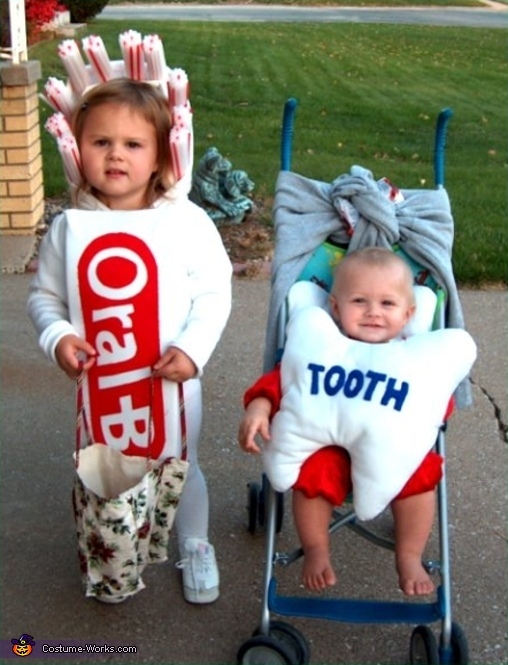 How did u make the baby tooth costume? Where can i get this costume or how can i make it? Hi if you could please tell me where you bought this costume or how you made it that would be wonderful. Thank you.